Since the very earliest of times poisons have been used as a means for settling old scores. Since the very earliest of times poisons have been used as a means for settling old scores, instruments for personal advancement, as a means to execute criminals and by those who found life to be an intolerable burden. The ancient Greeks and Romans, who could seldom agree on anything, were both masters of this practice, but, of course, they selected different agents. The most commonly used toxin in Greece was the water hemlock, a plant in the carrot family not to be confused with the evergreen conifer common in New England. Plato immortalized hemlock, which is said to be the most violently poisonous plant in the North Temperate Zone, in his description of the death of Socrates. In the rest of Europe from the time of the Roman Empire through the Middle Ages and the Renaissance, arsenic was the king of poisons. Mineral forms of arsenic were known as early as the fourth century BC, but the German scholastic Albertus Magnus is usually accredited with the discovery of the element around 1250. 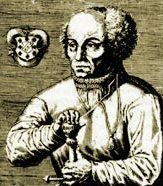 The first precise directions for the preparation of metallic arsenic, however, are found in the writings of Paracelsus, a physician-alchemist in the late Middle Ages who is often called the father of modern toxicology. Dioscorides, a Greek physician in the court of the Roman Emperor Nero, described arsenic as a poison in the first century. Its ideal properties for sinister uses included its lack of color, odor or taste when mixed in food or drink and its ubiquitous distribution in nature, which made it readily available to all classes of society. Symptoms of arsenic poisoning were difficult to detect, since they could mimic food poisoning and other common disorders. There could be no doubt about arsenic’s efficacy as a single large dose, which provoked violent abdominal cramping, diarrhea and vomiting, often followed by death from shock. Arsenic could also be given as a series of smaller doses, producing a more subtle form of chronic poisoning characterized by a loss of strength, confusion and paralysis. Eventually, the arsenic of choice emerged as so-called white arsenic or arsenic trioxide (As2O3); the fatal dose was known to be an amount equivalent in size to a pea. All of the above properties of arsenic contributed to its alleged widespread use in antiquity as a homicidal agent. 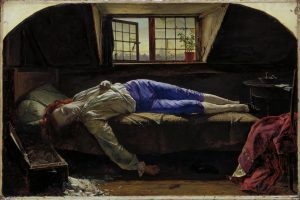 Doubtless it is an exaggeration, but it has been said of this period that poisonings were so common that few believed in the natural deaths of princes, kings, or cardinals. Whatever the true extent of its covert use, arsenic has engendered a body of legends so tangled that reliable sources today disagree about many of the specifics. During the fourth century BC, the Romans made considerable use of poisons in politics. In this same period a conspiracy was uncovered involving a group of women who schemed to poison men whose deaths would profit them. In 82 BC, in an attempt to stem what was becoming an epidemic of large-scale poisonings, the Roman dictator and constitutional reformer Lucius Cornelius Sulla issued the Lex Cornelia, probably the first law against poisoning. Poison and politics were also intertwined in the early Renaissance period in Italy. Records of the city councils of Florence during this period contain detailed testimony naming victims, prices and contracts, complete with dates that transactions were completed and payments made. Among the most infamous of poisoners was a woman known as Toffana who made arsenic-laced cosmetics and instructed women on their use. Another woman, known as Hieronyma Spara, organized group instruction in the homicidal uses of arsenic for a number of young married women who wanted to better their station in life by becoming wealthy young widows. Reports of death by arsenic containing cosmetics continued through the twentieth century. 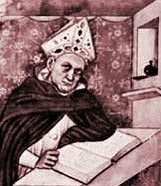 Cesare Borgias In Italy during the Middle Ages the most widely accused of poisoners were the Borgias, Pope Alexander VI, and his son, Cesare. In Italy, during the Middle Ages, the most widely accused of poisoners were the Borgias, Pope Alexander VI, and his son, Cesare. Most say that Cesare’s half-sister, Lucretia, was innocent of the Borgias’s involvement in wholesale applied toxicology, but even today her name is irrevocably linked to the surreptitious use of arsenic. It was perhaps not surprising for the Borgias to specialize in dispatching bishops and cardinals. As the Pope, Alexander VI appointed cardinals who were not only allowed but encouraged to increase their personal wealth through perquisites granted by the church. The nouveau riche pillar of propriety would then be invited to one or more sumptuous meals with the Borgias. There are those who say that arsenic actually improves the taste of wine. Whether true or not, the Borgias made certain that their guest consumed as much of the doctored drink as possible. Following the inevitable and untimely death of the victim, ownership of his property – by church law – reverted to his executioners. So diligently did the Borgias apply their craft that they soon numbered among the wealthiest and most powerful men in all of Italy. Their cause was furthered by Lucretia’s successful three marriages into money and station and by Cesare’s position as captain-general of the papal army. But the dynasty was finally broken in a poetic stroke of justice. On an occasion when some cardinals were scheduled later in the evening to receive the Borgia’s hospitality, the Pope and Cesare returned home early and called for a bottle of wine in premature celebration. Whether by accident or design, a servant brought the wrong bottle. The Pope died, but Cesare, after having a mule slaughtered and dressed, wrapped the carcass about himself in accord with the ancient superstition that entering the body of an animal warded off the effects of poisons. His recovery seems to be the only known proof that such a remedy actually works, but he was never again to be in a position of wealth and power. 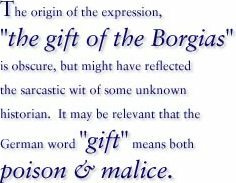 The origin of the expression “the gift of the Borgias” is obscure, but it might have reflected the sarcastic wit of some unknown historian. It may be relevant that the German word “gift” means both poison and malice. There have long been rumors to suggest that the final agonies of Napoleon Bonaparte in 1821 were due to the repeated administration of arsenic by someone in his cortege. This tale persists despite the failure of modern science to confirm the presence of excess arsenic in hair samples from Napoleon’s corpse. In his book Weird and Tragic Shores, Chauncey Loomis, a former professor of English at Dartmouth College, made a case for the homicidal arsenic poisoning of a tyrannical Arctic explorer, Charles Francis Hall. Perhaps Hall, who was born in Rochester, New Hampshire, should not have imposed his harsh discipline so indiscriminately among his crew. When Claire Booth Luce was the United States ambassador to Italy, she became a victim of arsenic poisoning because of the continual flaking of an arsenic-based paint from the embassy dining room ceiling onto her dinners. She was forced to resign her position because of ill health brought on by that exposure. Within months of each other in 1878, two women were found murdered near their homes in New Haven, Conn. One had been savagely beaten and left in a wooded area; the body of the other was found floating in the water near an amusement park. Surprisingly, autopsies in both cases found that the women had been poisoned by enormous doses of arsenic. The tragedies and subsequent murder trials, along with a glimpse into the seamy side of the Gilded Age, are described in Arsenic Under the Elms, by Virginia A. McConnell. As recently as 1998, arsenic was implicated in a sensational mass poisoning in Japan in which four people died and 40 were hospitalized. Arsenic trioxide had been added to pots of curried beef, which were served at a village festival. The trial process is expected to go on for years; the evidence against the accused and their motive(s) is still murky. As documented in the mid-1800s, mountaineers of central Austria (Styria) made a habit of consuming arsenic preparations once or twice a week as a general stimulant and tonic. They became known as “arsenic eaters,” and some were reputed to have adopted the practice as a means of building up a tolerance against poisoning by their enemies. The acquisition of a modest degree of tolerance has, in fact, been documented in laboratory animals, but its physiological basis is not clear. 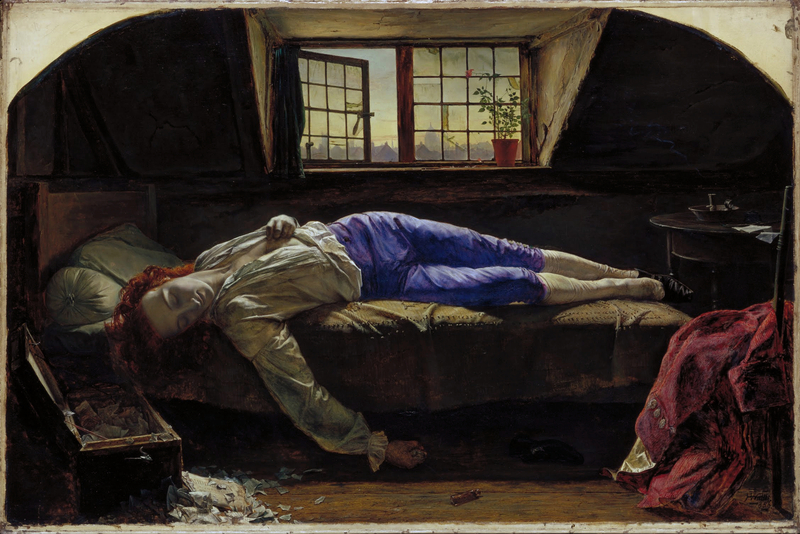 Beginning in the eighteenth century the incidence of poisonings began to wane as improved methods for detecting them in body fluids and excrement appeared. In 1836, an English chemist named James Marsh perfected a sensitive and specific chemical test for arsenic, and poisoners thereafter had little hope of escaping detection. But even as the sinister use of arsenic decreased, certain commercial applications were found, and various forms became common in the market place. Arsenic compounds began to be used in agriculture as ingredients in insecticides, rat poisons, herbicides and wood preservatives, as well as pigments in paints, wallpaper and ceramics. 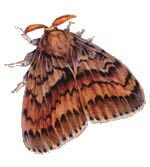 Although the agricultural uses would be recognized later as not particularly eco-friendly – especially when in the form of the then-popular lead arsenate sprays used against larvae of the gypsy moth and the boll weevil – they were among the most efficacious of their time. Even before these applications were widely employed, however, the most altruistic of all the uses for arsenic had been launched. Around 1900 in Frankfurt, Germany, a pharmacologist named Paul Ehrlich (not to be confused with The Population Bomb author) became preoccupied with the violently poisonous nature of arsenic. 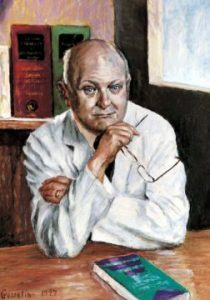 Ehrlich, however, was convinced that the toxic potential of arsenic could be harnessed and used therapeutically as a treatment for diseases such as syphilis. By chemically attaching arsenic to various carbon and hydrogen (organic) structures, he hoped to make it less accessible to binding cites on cells that produce adverse affects for humans and more specifically toxic for the infectious organisms. The search was tedious to say the least. Ehrlich patiently threaded his way through 604 different organic compounds of arsenic before he literally stumbled on number 605 to which he gave the grandiose name of Salvarsan. With brilliant insight, he even postulated that its antimicrobial activity might involve the binding of Salvarsan to sulfur groups on the microbes. As toxicologists now know, arsenic – and many other metals – are strongly attracted to sulfur; some of the sulfur in human proteins is critical to biological function. Salvarsan became the first drug that was safe enough to be given to humans and to be truly effective against the dread spirochete bacteria that causes syphilis. It was to be replaced immediately on the discovery of penicillin, but Salvarsan deserves its place in history. Many other organic arsenical drugs were eventually introduced for use against various bacterial or parasitic infections, but few survived the introduction of antibiotics. One of the longest-lived medicinal preparations of arsenic was a solution of one-percent potassium arsenite called Fowler’s Solution. Fowler’s Solution was first used as a general tonic, but many reputable dermatologists felt it had value in the treatment of psoriasis. 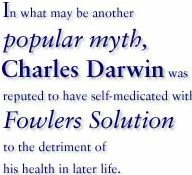 It was still being recommended in dermatology textbooks through the 1960’s, although its effects by then were recognized in scientific sources, such as Torald Sollman’s pharmacology text, as “capricious, unpredictable and uncontrollable both as to good and harm.” In what may be another popular myth, Charles Darwin was reputed to have self-medicated with Fowler’s Solution to the detriment of his health in later life. In 1940, it became known to Allied intelligence that the Germans had developed an organic blistering war gas containing arsenic, which was known by the code name of Lewisite. On contact with the skin the gas reacted with sulfur on keratin, a skin protein, to produce huge blisters that were made worse by the release of caustic hydrochloric acid, also produced by the chemical reaction. The British response to this threat was an intensive research program that culminated in the discovery of a simple sulfur-containing organic molecule which was highly effective in inactivating Lewisite on the skin, since it attracted arsenic away from biologically more important sites. This effective antidote became known by the acronym of BAL, for British Anti-Lewisite. Later it was given the generic name, dimercaprol. After the war, interest in dimercaprol continued, and in view of its low toxicity, it was tested against arsenic that had been taken internally. It was found to bind arsenic tenaciously and to hasten its excretion in the urine. It thus became the first rationally developed chelating agent – a chemical trap that sequesters and disables toxins. It is also used in treating people with mercury and gold poisoning. Even purely altruistic efforts have resulted in chaos because of arsenic. The water supplies of much of the impoverished nation of Bangledesh consisted until recently of shallow wells that were often polluted by animal and human wastes. International efforts were mounted to provide better water supplies by digging deeper wells into aquifers. Many of these wells ended up tapping water from geologic formations naturally high in arsenic. As a result, thousands of people were poisoned. Natural arsenic contamination of drinking water supplies is also a problem in New Hampshire. The gentle art of poisoning, Meek, WJ, JAMA. 158:335-339 (1955). Toxicology, The Basic Science of Poisons, 5th ed. Klaassen, CD. Casarett and Doull, McGraw-Hill, NY, 1996. Clinical Toxicology of Commercial Products, 5th ed., Gosselin, RE, Smith, RP and Hodge, HC. , Williams and Wilkins, Baltimore, 1984. Originally published by Dartmouth College under the terms of a Creative Commons Attribution-Noncommercial-Share Alike 3.0 Unported license.